Teens work on a prompt in the "Writing Away The Stigma" workshop at Pittsburgh's Creative Nonfiction Foundation in Garfield. 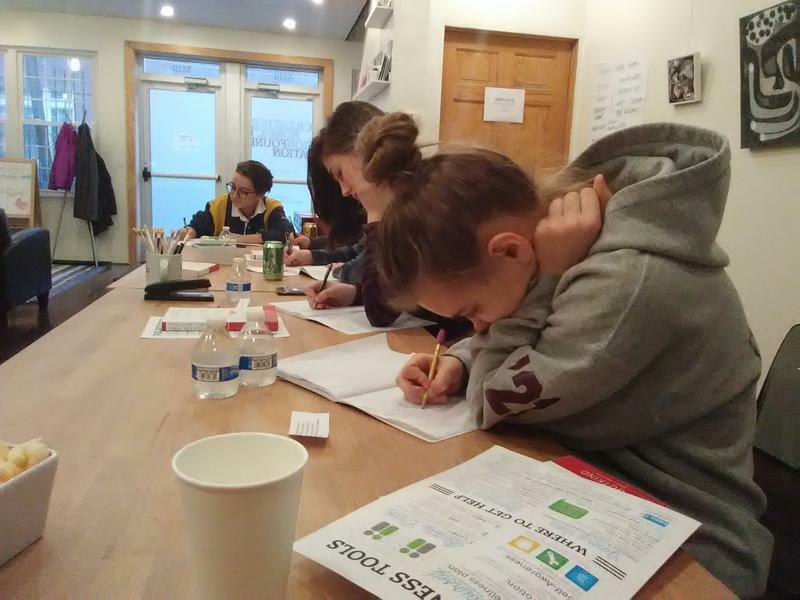 At the offices of Pittsburgh’s Creative Nonfiction Foundation in Garfield, high schoolers experiment with writing in the style of a storied American literary institution—The Onion, a satirical online newspaper. The kids laugh quietly. Many have been in therapy since they were young, so they get the joke. This workshop, titled “Writing Away The Stigma,” is an eight-week course for high schoolers with mental health diagnoses like depression, anxiety, bipolarism or borderline personality disorder. Next, Harvey told the kids to try their hands at satire, and they do, poking fun at religion, family photos, and the shame of taking anti-depressants. One participate named Jacob wrote an Onion-like news article about a woman who, despite her fun job, struggles with depression. "Maria said she worked as a corgi breeder, but who could be sad with a job like that?" read Jacob, who didn't want to give their last name. "The patient decided to not release a statement, except stating 'Not even corgis can remedy my years of childhood trauma.'" Mental health advocate Alyssa Cypher, another workshop facilitator, said people often weaponize someone’s mental illness as a way to discredit their feelings. Through autobiographical writing, these kids are learning to combat societal prejudice by controlling the narratives around their own mental health issues. “I think being able to explain yourself in such an articulate way can really help, to not really prevent [discrimination from] happening, but to try to fight back against it,” she said. At the end of the workshop the teens will read excerpts of their work at events around Pittsburgh in May and June. The meeting space was standing-room-only at the Carnegie Library branch in East Liberty at Monday’s launch of Pittsburgh’s Human Library project. A library is, essentially, a collection of information and stories that live inside books, on tape or via DVD. In a human library, the stories are told aloud by the people who lived them. The idea started in Denmark in 2000, as a way to break down stereotypes and has since made its way around the world. This year, Avonworth High School students arrived at their first period, for the most part, after sunrise. 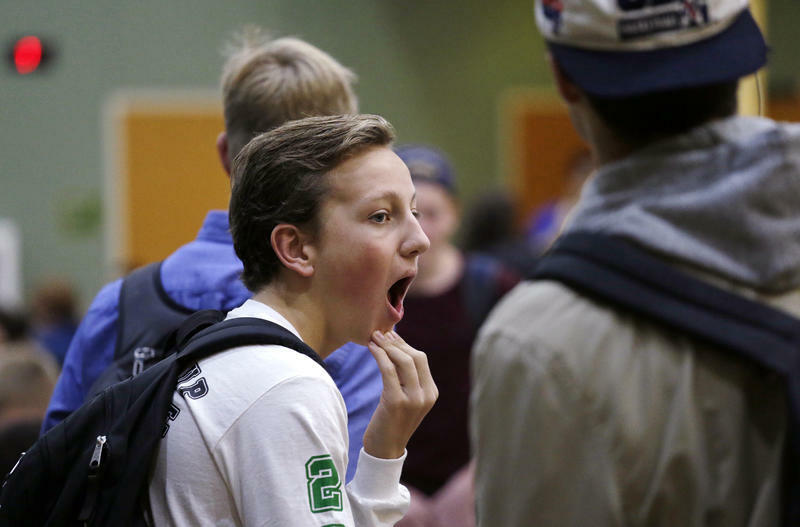 The district recently shifted its first period start time from 7:15 to 8 a.m., and Superintendent Thomas Ralston said his students now pass what he calls "the eye test." As mental health awareness among young people increases, many families are looking for new, innovative ways to help their children. 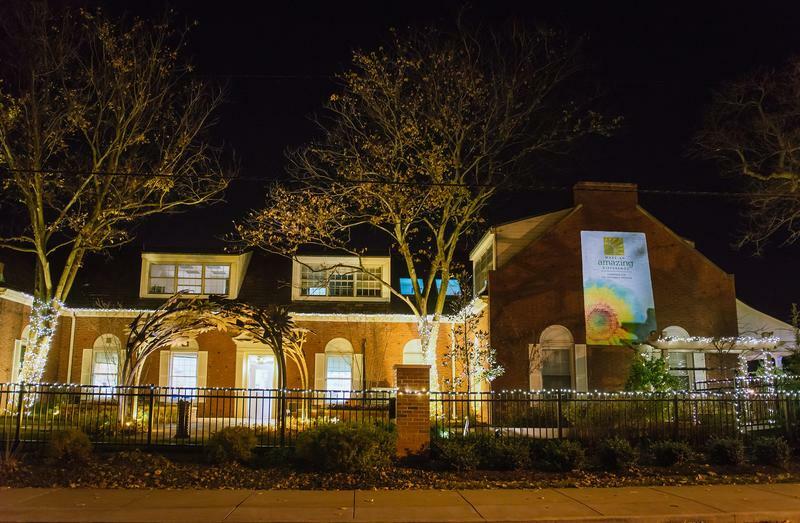 The Children’s Institute of Pittsburgh has responded by creating a new inpatient unit focused on a holistic approach for the mind, body and spirit.